I am always skeptical of anything that claims to be a miracle cure, which is why I rolled my eyes when I first started hearing about the almost magical qualities of bone broth for dogs. I chalked it up to the usual hype and figured it was about as magical as the new Starbucks Unicorn Frappuccino. As it turns out, while bone broth is not a miracle cure, there are actually quite a few good reasons you should feed your dog bone broth. Bone broth is basically soup stock. It is made from simmering raw or cooked bones for 12 to 48 hours, occasionally with vegetables that are safe for dogs, like carrots (and not onions or garlic). The liquid is then strained to remove any bones or vegetable matter and served warm. For a veterinarian-approved recipe, check out this recipe from holistic veterinarians. The result is a potent brew that people claim is high in collagen and nutrients. While the collagen content is indeed high, bone broth is actually not as packed with nutrients as we might like to think. The National Kidney Foundation did a nutritional analysis of bone broth for human kidneys, and found that the quality of protein in bone broth is low, which means it does not contain one or more of the essential amino acids. It also contains very small amounts of minerals and vitamins thanks to the chemistry that happens during cooking, with the exception of manganese and vitamins C and B6. So if it is not a superfood, what good is it? If you’ve ever had a really sick dog, then you know that getting them to eat can be a challenge. They turn their noses up at kibble and even wet food, leaving you spoon-feeding them baby food and broth. Bone broth is mild enough not to upset sensitive stomachs and also contains some nutrients, which can help them on the path to recovery. Sometimes, simply feeding bone broth can stimulate your dog’s appetite, encouraging them to try other mild foods as well. Remember that low protein content cited by the National Kidney Foundation? Well, that is actually a good thing when it comes to dogs with kidney disease. “The goal is always going to be high-quality foods with low protein. High-quality protein but low protein,” according to Dr. Julie Bailey, a Massachusetts veterinarian and professor. This is because the kidneys are responsible for ridding the body of toxins and waste and filtering things like protein, so you don’t want to give your dog’s compromised kidneys too much work. Moist foods are also good for dogs with kidney disease, as water is essential for healthy kidney function. Bone broth contains lots of water and low protein, and is also highly palatable for dogs with reduced appetites or dogs who have trouble keeping weight on. Bone broth is not a kidney cure-all, nor does it replace proper nutrition for kidney patients, but a bone broth treat now and then could offer some benefits to your dog. Bone broth for dogs with joint pain? One of the biggest claims about bone broth is that it can help dogs with arthritis or bone disease by providing collagen. This claim might be a bit overblown. While bone broth does contain collagen, there are currently no studies that verify whether or not this collagen helps with canine osteoarthritis — or if dogs can even use this type of collagen to improve their bone and joint health. 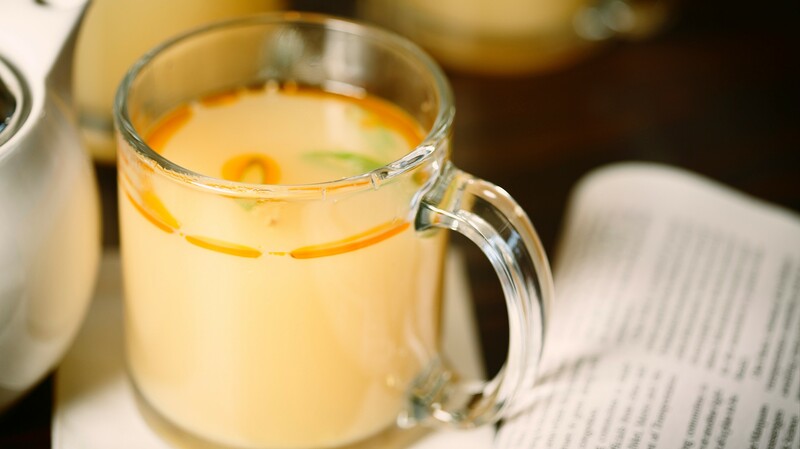 An article published by NPR looked at the benefits of bone broth for humans, and what they found was that bone broth could actually act as an immune booster and reduce inflammation during upper respiratory tract infections. Since there are currently no clinical studies on immunity and bone broth in dogs, we will have to infer that this could mean dogs benefit as well. Active dogs could benefit from bone broth treats to help them rehydrate and regain lost electrolytes. Freezing bone broth in ice cube trays and thawing a cube after an intense run or dog sport is a great way to reward your dog for a job well done. Bone broth, unfortunately, is probably not going to cure all of your dog’s ills, but it certainly won’t hurt. The benefits of bone broth combined with its delicious, meaty aroma make it a great treat for dogs. For more information about dog nutrition, however, skip Dr. Google and contact your veterinarian.